I'm back! Sorry for abandoning my blog for the past week. We had a rough couple of days, but we are doing much better now! AND, on top of that, Lincoln had to have a frenectomy last Tuesday. He was only using the back of his tongue to swallow, which was making nursing a little difficult and frustrating for both of us. 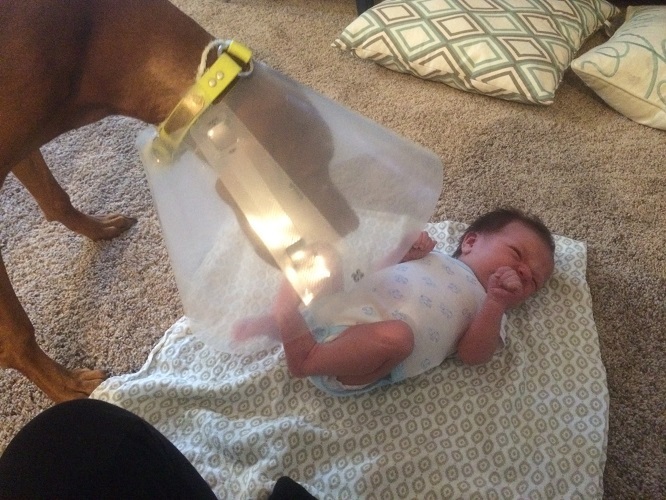 Normally, the doctor likes to do this procedure within the first two weeks of life. Since he is a little older, the recovery was more painful. He also bled a lot, which meant they had to put a lot of extra pressure on the area. It was REALLY hard to watch my little baby go through that (I may have cried more than he did! ), but he is completely healed now and nursing is going great. 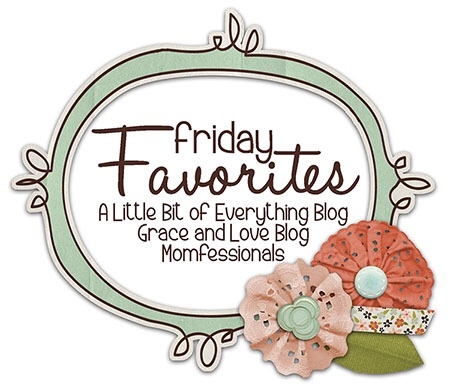 So, I am back today with a new Friday Favorites post! 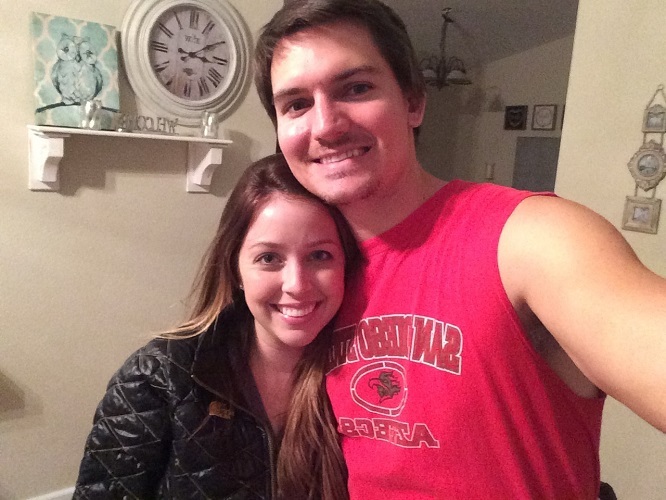 Here are my favorites this week! Also, I apologize for any spelling/grammar errors! I am currently typing this while feeding Lincoln. This beauty is at the top of my list because my amazing husband surprised me with it last night! 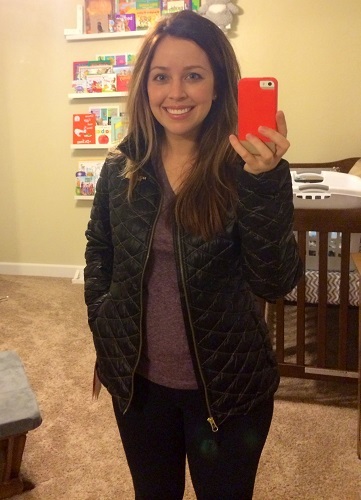 I've been eyeing this jacket for awhile, but I never bought it because it was a little pricey. So, when he came home and gave it to me, I was THRILLED. You can find it here on amazon. I have the black/curry gold. I went to Ulta the other day to get some stuff for Hawaii, and I saw this little tube while I was waiting in line. I really like It Cosmetics (I wear their CC cream), so I thought I would give this a try. ITS AMAZING, and it stayed on ALL DAY (which is great when you are a new mom and have constant dark circles under your eyes) The only issue I had is that they are NOT kidding when they say a little goes a long way. I learned the hard way. Literally, you need the SMALLEST dot ever. I think this tiny tube will last me like 10 years. As I've mentioned before, Lincoln HATES tummy time. At my friend Nicole's baby shower last weekend, I was talking to another new mom about my issue. She asked if I tried using the boppy, and a lightbulb went off. What a great idea! 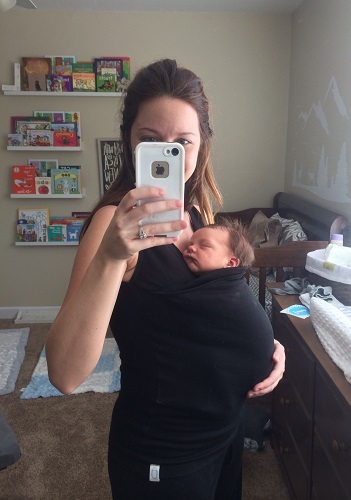 I never even thought about trying the boppy, but it worked! 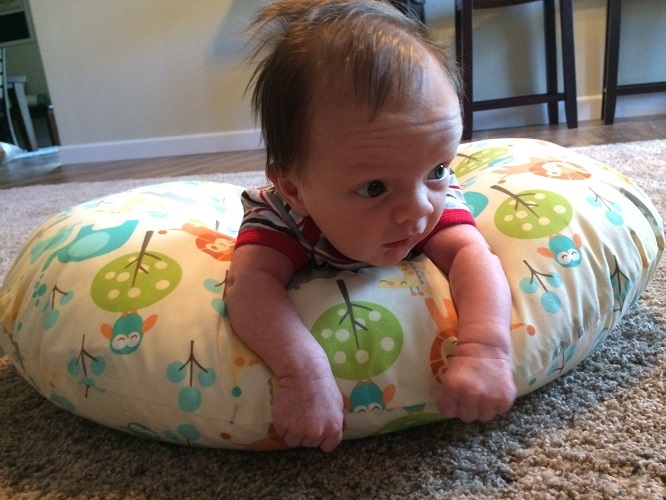 He actually likes his tummy time now. I had my six week postpartum appointment last Friday, and I got cleared by my doctor to exercise. Yay! I ordered this DVD from Amazon and I am really enjoying it. I didn't realize how out of shape I got over the past nine months, and I feel like I lost ALL of my muscle definition while I was pregnant. Up until now, I have only been walking... so it feels good to get my heart rate up and get a good workout in! 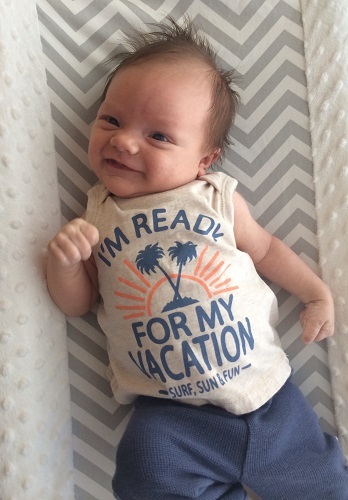 Lincoln has been smiling more and more and it is the cutest thing ever. For those of you who don't follow me on Instagram, here's a smile for you! That's it for now! Thanks for stopping by, and thanks to those who checked in while I disappeared for a few days. Good evening everyone! Hope your week is going great. The past few days have been rough over here. Lincoln had a frenectomy done yesterday to help with feeding and he is going through a little developmental leap, so I decided to take the week off to take care of my baby boy! See you all next week! I will be back on Monday! 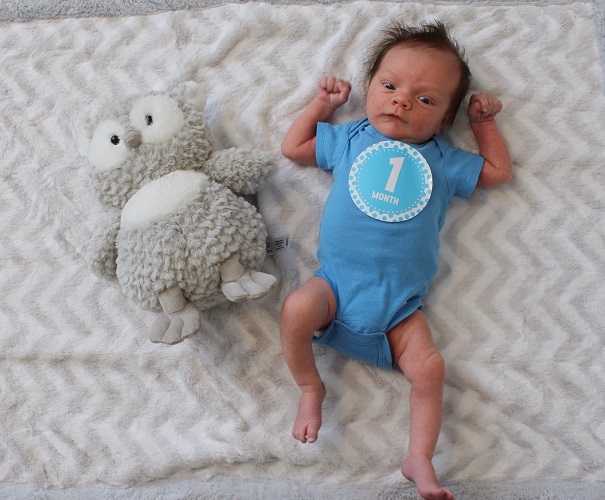 How is my little baby one month old already? It's been such a blessing having Lincoln join our family. He has added so much joy and fun to our lives already, and I know it is just going to get better and better as he grows and as his personality starts to show. Although Landon and I have had a fun month with our new little guy, life with a newborn has definitely taken some getting used to. 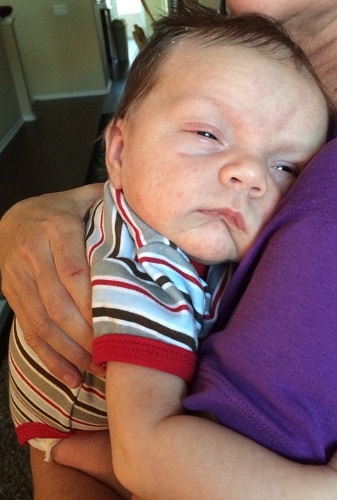 Luckily, Lincoln has been a really great baby, and he is sleepy and content most of the time. He randomly smiles and laughs at times, and it is seriously my favorite thing ever. He usually wakes up to eat again around 4:30/5:30AM, and after that, its kind of a gamble. Sometimes he will sleep more, and sometimes he's awake and ready to party. This routine is working out really well for us because I can get a few hours of uninterrupted sleep in the beginning of the night, and Landon can still get a nice long stretch of sleep since he has work during the day. The other night he slept for FIVE HOURS in a row. I felt like a new person the next morning. I am hoping we see more of these five hour stretches, but you never know. Eating - Obviously. He eats every 2-3 hours during the day and every 3-4 hours at night. 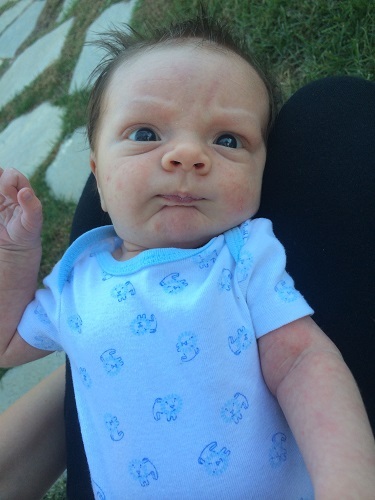 Being outside - He always opens his eyes really big and stares up at the sky. Getting his eyebrows rubbed - Weird, I know. But this calms him down instantly. It's like magic. Sleeping on dad's chest - He can sleep like this for HOURS. 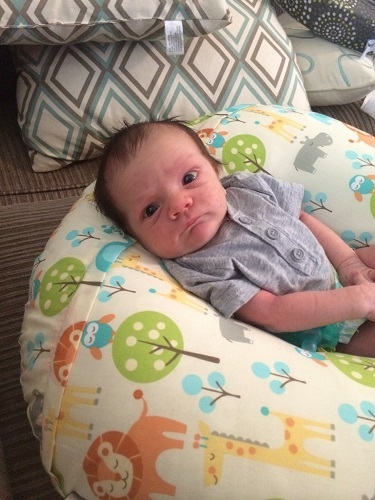 Sitting in his boppy - He loves to be propped up so he can get a good view of everything. Riding in the car - He falls asleep every time we go for a ride. Being worn - This is the only way I can get things done around the house during the day! As you can tell, he loves it too. Tummy time - I am hoping he will get better at this eventually. Right now, he hates it. Being gassy - I mean, does anyone actually like this? I don't blame him. Overall, it has been wonderful first month. I can't wait to continue to watch him grow, but at the same time, I wish I could stop time and stay in this tiny newborn stage with him forever. P.S. How was everyone's Halloween? Ours was so fun! 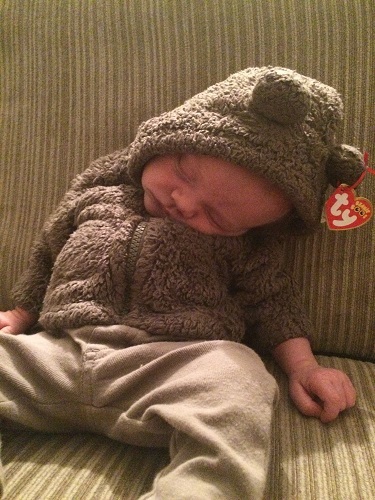 Lincoln had a blast, but being a beanie baby was EXHAUSTING.